A full or partial packing service for your possessions is available, we can either take care of all your packing requirements, or if you prefer we can just pack your delicate and fragile China and Glass, the choice is yours! We can provide and arrange for our staff to pack all of your china, glass, ornaments and other breakable items into purpose-made cartons, using fresh white paper. This will ensure that every item arrives at your new home clean and intact. 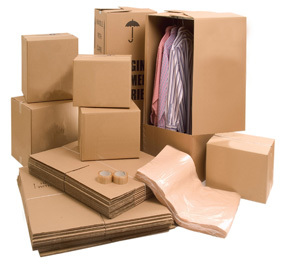 Items of clothing, bedding and other soft furnishings are packed into medium sized cartons, with books, records, compact discs, heavy tools being packed into smaller cartons. Or you may choose to pack all items yourself before the move to save time and money. See our packing supplies page. Copyright 2019 - The Move Team. All rights reserved.